Baby powder is not just for babies. This sweet smelling white powder can do so much more than simply ward off diaper rash. 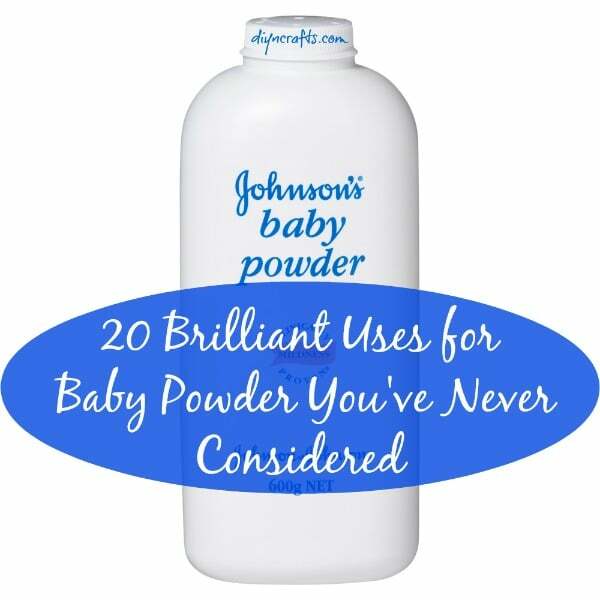 In fact, there are many different uses for baby powder that you probably never considered. From keeping your pets smelling fresh to helping you to remove stains from your favorite clothing, baby powder is a do-all powerhouse of a product that is sure to be helpful around the house. The best part is that baby powder is relatively inexpensive. You can replace many different costlier products with this one container of talcum powder and still get everything done. Get baby powder from Amazon.com Here. The smell alone is enough of a reason to use it. Who doesn’t just love the smell of baby powder? But, the smell is still not the best part. Really. Baby powder has so many uses that you’ve probably never even thought of and we’ve collected 20 of the best and most effective ways that you can incorporate a bit of baby powder into your everyday life. The next time you head out shopping, grab some baby powder. We’re about to show you some amazing ways that you can put it to good use. 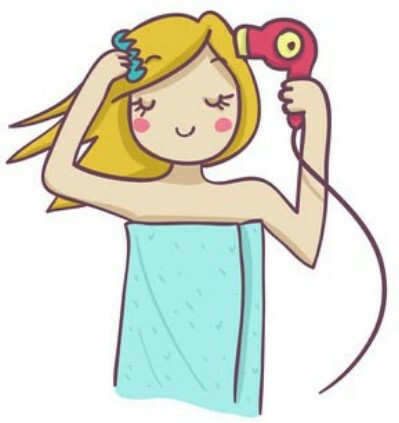 Baby powder is perfect for use as a dry shampoo. You just sprinkle it onto your comb and then run the comb through your hair to the roots. It removes oil and grease and makes your hair look freshly washed. Plus, it smells great so your hair will smell freshly washed, too. This works really well for blondes (or greys). If you are a brunette, add just a touch of cocoa powder to the baby powder before combing it through. Redheads can add a bit of cinnamon. Not only will your hair look great, it will smell amazing and stay that way until your next shower. Not only does baby powder work as a dry shampoo for humans, it works for your furry friends, too. If your pet is between baths or you just need to give her a little refreshing, rub a handful or two (depending on the size of your dog or cat) into their fur. Allow it to sit for a couple of minutes and then brush. Not only does it remove oil buildup and make their coats look freshly washed, it’s great smelling so it can eliminate that dog smell that they may have after playing all day. Plus, your dog is sure to prefer dry shampoo to having an all-out bath. If you’re lucky enough to be headed to the beach this summer, be sure to bring along some baby powder. It helps to remove the sand that finds its way onto your clothing and into your car or house after a day at the beach. Just sprinkle a bit of powder over anyone who is covered in sand after your day of fun. The powder will make it much easier to just brush off the sand and you’ll be much happier not having that sandy mess all over your car or your living room. Baby powder is great for helping you to keep your favorite clothes looking new by removing grease stains. If you happen to get grease on your clothing, just apply a sprinkling of baby powder to a powder puff or cotton ball and dab at the grease. Rub the powder into the stain really well and then just shake or brush off any powder that is leftover. Repeat until you see that all of the grease has been removed and then launder as normal. The baby powder will bring the grease out of your clothing and keep it from leaving a nasty stain. 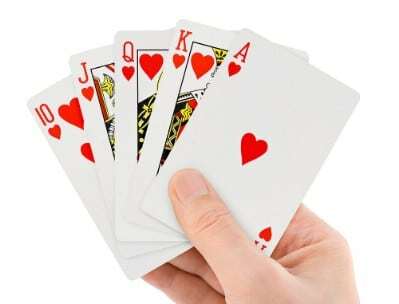 Adding baby powder to playing cards is an age-old trick that makes your cards much easier to handle and keeps them from sticking together. When you buy a new set of cards, just place them in a plastic Ziploc bag along with just a few shakes of baby powder. Seal the bag well and shake it a few times to distribute the powder evenly. Once you remove the cards and shake off the excess powder, they will be smooth and much easier to shuffle and deal. Plus again, they will smell great so they’re perfect for those smoky poker games. Don’t you just hate it when your favorite necklace gets tangled? Really. It can take forever to get those tangles out, especially from smaller chains and you risk breaking or kinking the chain which renders it un-wearable. The next time you get tangles in your favorite necklaces, reach for the baby powder. Just sprinkle a bit on the chain making sure that it gets into all the little crooks and crevices. The powder will loosen up the knot just a bit, making it much easier for you to get it out without worries of kinks or breaks in the chain. If you run often, particularly during the hotter summer months, you may experience chafing. A little baby powder will clear that right up and help to prevent it on your future runs. Just sprinkle the powder anywhere that you normally chafe before you run. It will help to eliminate friction when you run so your skin will stay smooth and pain-free. This is also a great idea for any movement that normally causes friction and it works perfectly for inner thighs and other areas that tend to rub up against one another when you move. Waxing may be great for removing that unwanted hair but it can leave behind unwanted pain and redness. If you apply just a bit of baby powder before you apply your wax, it will help to make the entire process less painful. The powder absorbs moisture which allows the wax to work better because it will adhere to every single hair. Plus, it protects the skin which leaves it much smoother and less red and painful. So, baby powder before waxing actually works a couple of ways and makes your waxing session a bit more effective at removing hair and without all the pain and redness. If you or someone in your house tends to have stinky shoes, baby powder can do wonders to eliminate that odor. This is a great trick for new tennis shoes, which normally cause some sort of odor when your feet sweat in them. Just sprinkle a light dusting of baby powder inside all of your shoes that have odor and allow them to sit overnight. In the morning, just shake out the baby powder or you can even leave it in for really bad odors. It will continue to absorb moisture and kill those stubborn odors, leaving your shoes smelling fresher. When you buy new flower bulbs, take a moment to dust each of them with baby powder before you plant them. You just place a few (around five or six) of your bulbs into a Ziploc bag with about three tablespoons of baby powder. Seal the bag and give it a shake or two, or three. The baby powder will coat the roots of the bulb, protecting it from rot and it wards off voles, grubs, moles, and other rodents that may be eating your bulbs before they have a chance to grow. Many expert gardeners use this trick to protect their new bulbs before planting. 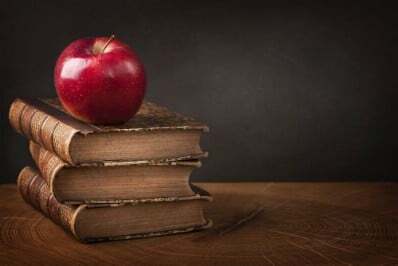 If you have books that have acquired mold due to being stored in damp places, you can remove that mold and make those old books nearly new again with a bit of baby powder. You have to allow your books to dry first so open them up and let them air dry for a few hours. Once they are dry, sprinkle just a little baby powder between each of the pages. Stand them upright and leave them alone for several hours. In fact, you may just leave them until the next day for the best results. Then just brush out the powder and they will smell and feel much newer and without all that dangerous mold and mildew. If you tend to use rubber gloves for cleaning or other tasks, you can make them much easier to get on and off if you apply a bit of baby powder before you put them on. Just sprinkle your fingers or the inside of your gloves with a light covering of baby powder. The powder helps to eliminate moisture which is what makes those rubber or latex gloves difficult to get on and off. With the baby powder in place, your gloves should slip easily onto your fingers and should come off without all that pulling and tearing that often takes place when wearing rubber gloves. Nice, cool sheets are wonderful during the summer months but sometimes it’s just so hot that your sheets may feel anything but cool. The answer? Baby powder. If you sprinkle just a bit of baby powder (a very light covering will do it) between your sheets a few minutes before you retire for the night, you’ll enjoy a much cooler night’s sleep. The baby powder cools things down wonderfully and again, it smells heavenly so your dreams will be filled with wonderfulness. This is a great way to freshen up sheets that you haven’t had time to wash and makes a wonderful gift for guests spending the night in your spare room. Baby powder is an excellent repellant for ants and many other bug-like pests. Just sprinkle a bit around your window panes, in the cracks on your floors, or even around your picnic blanket. 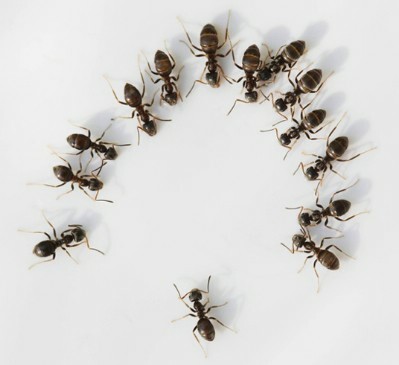 The ants can’t cross the powder so you’ll be safe from those little pests as long as you are inside the baby powder line. This is great for picnics because you certainly don’t want to spray chemicals around your food, nor do you want those pesky ants getting into your picnic fare. Baby powder does the trick nicely and it’s safer and less expensive than chemical ant killers. Before you apply mascara, dust just a tiny bit of baby powder on your lashes. The result is plumper lashes that look longer and fuller. While you’re at it, use baby powder to set your makeup. By removing facial oils, baby powder helps to keep your makeup intact all day or all night. And again, it smells amazing so you get that benefit as well. Baby powder can also be mixed with makeup that is a bit too dark. If your contour powder is a shade or two too dark for instance, just mix in a bit of baby powder to lighten it up. Baby powder is a great aftershave for men and women alike. Not only is it a bit cheaper than some aftershaves, it works great and of course it smells wonderful. After you shave, face or legs, just sprinkle a bit of baby powder onto your freshly shaven area and rub it in just a bit. Baby powder has a natural cooling property which will eliminate any irritation that shaving may have caused and it leaves your skin silky smooth. It’s also perfect for sensitive skin. If you normally experience razor burn due to sensitive skin, the baby powder will help to clear it up and leave your skin much less irritated. Squeaky floors are a nuisance and sometimes it’s near impossible to find the reason for those creaks and squeaks. If you have an annoying squeak in your floorboards, baby powder can quiet it. Just sprinkle a bit of baby powder between floor boards and then sweep it into the cracks. It will instantly stop those boards from squeaking and creaking and give you much more peace and quiet. Oh, and remember that it keeps ants a bay, too so if you have ants and noisy floors, this is a win-win on both counts. You don’t really have to “make” deodorant. If you run out or if over the counter deodorants leave you feeling a bit irritated or red, baby powder is an excellent alternative. You’ve probably heard your grandmother say something about using a powdered deodorant. Well, this is it. You just sprinkle a handful of baby powder into the palm of your hand and rub it into your underarms. It works great to eliminate sweaty odors and baby powder naturally absorbs moisture so it will keep you dry and fresh all day. Did we mention that it also smells amazing? 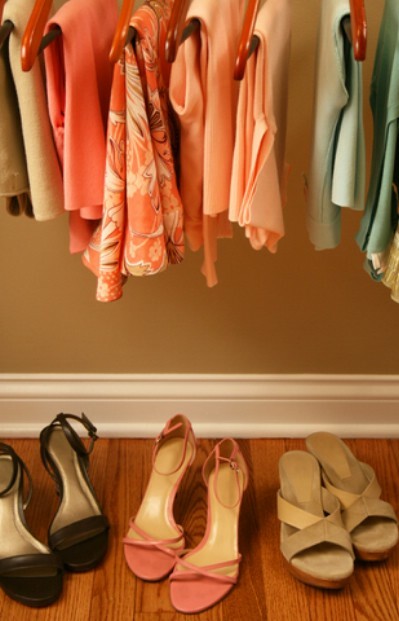 If your closet or your dresser drawers are a bit musty, you can freshen them up with baby powder. You just have to sprinkle a bit into a jar or dish and leave it in your closet or put some in a sachet and place in your dresser. The moisture removing properties of baby powder makes it perfect for keeping closets from smelling musty and you can use it to freshen up your carpets as well. Just sprinkle a light covering on your carpets, let it sit for about fifteen minutes and then vacuum up those odors. This is a great trick for removing musty smells and even tougher odors like cigarette smoke. Baby powder can work much like a moisturizer to help soothe extra dry skin. If you have rough patches on your feet, elbows, or anywhere else, just rub a bit of baby powder into those areas. While it does remove moisture, baby powder on its own is great for helping your skin to feel smoother and less irritated. It’s a great solution for cracked heels and other skin irritations. After all, you use it on your baby so why wouldn’t it be safe for you? Keep it on hand throughout the summer and winter months when your skin tends to get really dried out. Unfortunately, the fragrance in baby powder you enjoy is toxic, made from petroleum derivatives. To those with chemical sensitivities, it is especially noxious and problematic. And some evidence shows that it could lead to asthma in children. This is why most natural baby powders contain no fragrance. I would recommend using straight talc or better yet cornstarch for the uses you describe. Talcum powder is dangerous if inhaled since it may cause aspiration pneumonia or granuloma. I love baby powder I use it all the time to absorb sweat . Apparently baby powder used around the gential area for extended periods of time can cause overian cancer (assuming you’re female). Please please please stop doing this! Cornstarch is a much better option – I like the multipurpose powder from Lush Cosmetics called Silky Underwear – and they use cornstarch. Really this is a perfect powder.Thanks for sharing these tips! I am sure they will really helpful! I started using talcum powder to prevent the yeast rash I am prone to when it’s hot. Corn starch is NOT recommended as it would make the rash worse. I have to try it as a deodorant. Baby powder does wonders for smelly hockey equipment too. I got a bottle here I bought not long ago but I have not idea what to use for, I’m thinking using it on the body or odors but not sure about the benefits of it, but thanks so much to these great ideas. That was so helpful ! does it help in that it can help with fleas ?